Um, relationship goals? 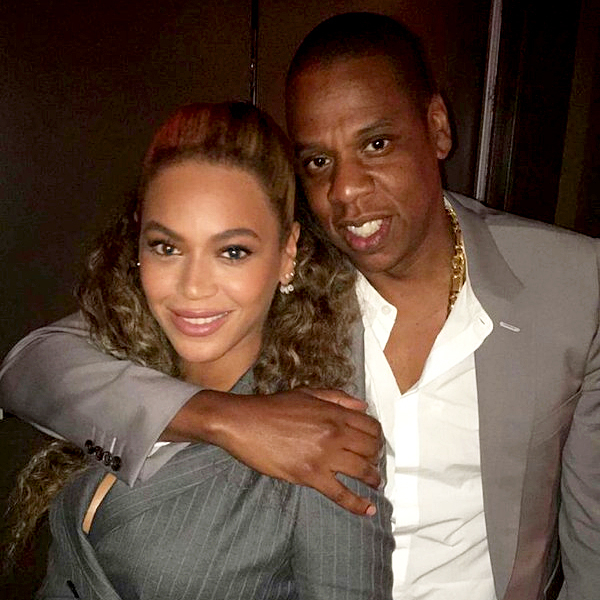 Jay Z protected his wife, Beyoncé, from an overzealous fan after the couple attended the Hands of Stone movie premiere in New York City on Monday, August 22, according to a video of the incident posted on TMZ. 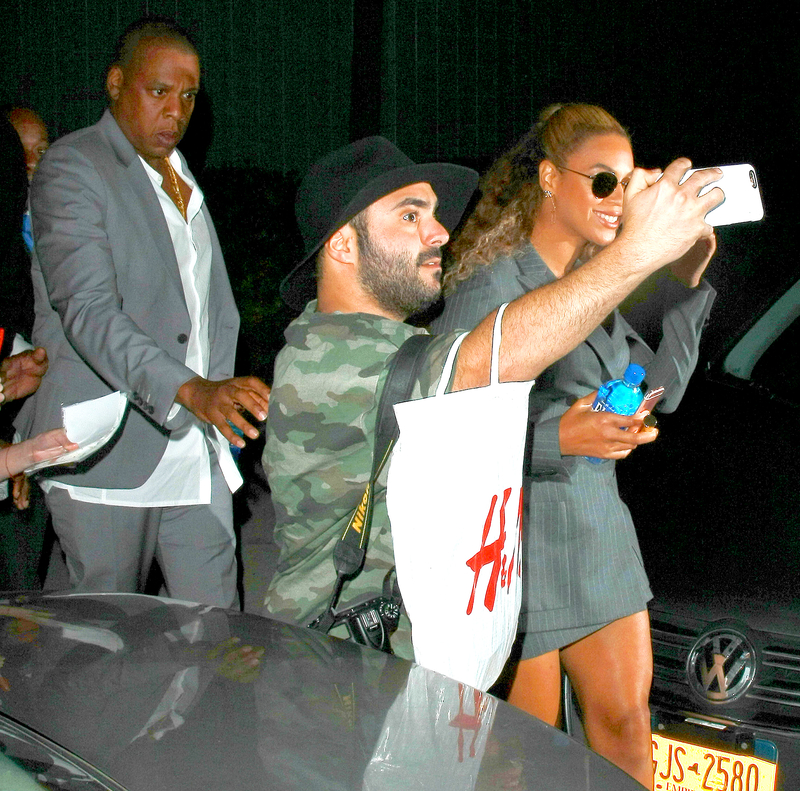 As the pair left Chelsea’s SVA Theatre, an excited fan ran up to the “Formation” singer, 34, to snap an unwelcome selfie with his idol as she was getting into her car. Jay Z, 46, was not happy about the man’s behavior and immediately stepped in and took action. The “Holy Grail” rapper was not pleased as he swiftly pushed the fan aside with his arm. Shortly after, security escorted the admirer even farther away. As Us Weekly previously reported, music’s royal couple stepped out in NYC to support their pals Robert De Niro and Usher, who star in Hands of Stone. The pair wore matching gray suits for the appearance, and looked incredible. Beyoncé showed off some cleavage in a pin-striped, double-breasted blazer, which she paired with ankle-strap sandals. She also wore her curly hair in a half-updo, a nod to the hairstyle she often rocked in the early aughts. Jay Z, meanwhile, donned a similar slate jacket with a white shirt underneath. The parents of daughter Blue Ivy, 4, have certainly been busy in recent months. Next week, Beyoncé will continue promoting her latest visual album, Lemonade, as she kicks off the second U.S. leg of her smash Formation World Tour at MetLife Stadium in East Rutherford, New Jersey. The “Sorry” entertainer and the “99 Problems” MC are also reportedly working on a joint album, although they’ve yet to acknowledge when that will be released.